Need to have your car cleaned? 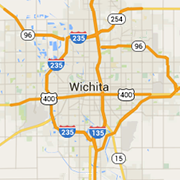 Find car washes and full service detailing around the Wichita area. Hand washing, engine cleaning, coin wash, buffing and waxing, tire and wheel cleaning and more.